Texas Pastor brings earliest writings to forefront, offering Salvation while exposing false teachings. 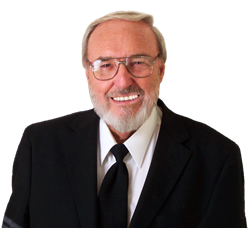 Yisrayl Hawkins, Pastor and Overseer at The House of Yahweh in Abilene, Texas, has released a new publication this week that expounds on Bible Prophecy and calls out those who claim to interpret it, but clearly miss the mark. Yisrayl says his writings prove he not only understands Bible Prophecy, but is also being guided with inspiration from above. “My whole life is based on studying the Laws and the Prophecies. Not a day goes by that I do not write in order to teach what I have learned. Every single thing I write can be proven by Scripture to be accurate,” Yisrayl proclaims. Yisrayl gives tips and red flags to look for when reading interpretations of Bible Prophecy. He says many claim to have understanding but their messages contradict the Scriptures, neither are their names found in the Scriptures. Yisrayl boldly acknowledges that his name is found in Scripture, and says he can show where. Yisrayl has written a book on this topic alone and says the proof is overwhelming. “If you have been looking for the Two Witnesses spoken of in Revelation, then you must read the information we have on this topic. One of those two is here, among you and speaking to you now,” Yisrayl says. Yisrayl lists the time period the world is in and what Prophecies are expected to come to pass next. He breaks down the timeline giving a clear view of what is to come. Yisrayl wrote ten pages of prophetic explanation in this one letter alone. He goes into great detail on each topic and always provides cross-references in order to fact check his work. He challenges one to read, study, and prove it for one’s self. To read this post, go to http://yahwehsbranch.com.